WORD OF ADVICE TO BUYERS !! Please choose a breeder carefully. 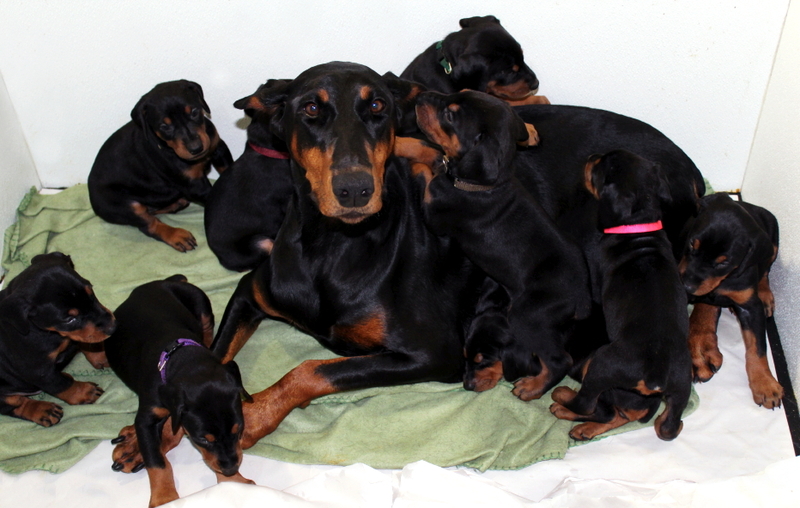 Make sure they health test their breeding stock and strive to produce sound puppies. Ask to see health records, don't just take their word for it !! Be selective and not impulsive. Ask if they offer any health guarantee. Make sure they are active in the positive promotion of the breed and are active with their dogs, no matter what the venue or event. Know that a well bred puppy is not cheap. You can find many other puppies out there for a lesser price but quality will be sacrficed and your puppy could run into a lot of health problems which in the end will cost you much, much more. Take into consideration what a reputable breeder has done and how much time, money and effort they put into their dogs and producing a litter. 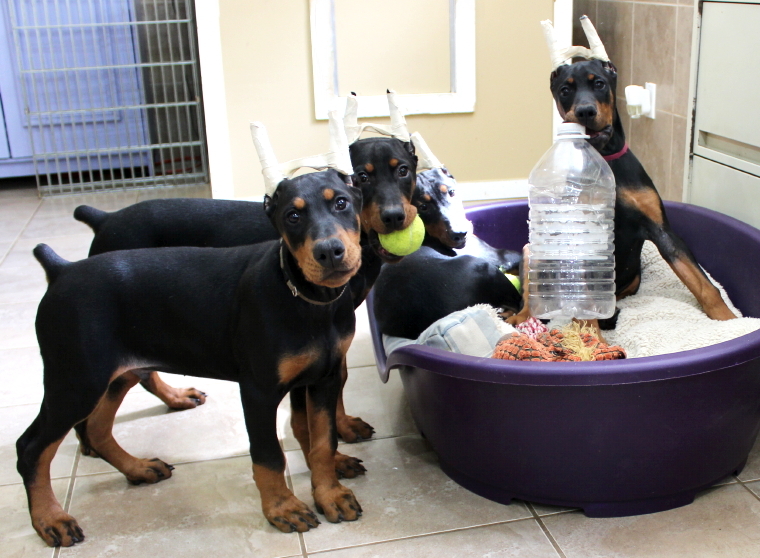 Please be on the alert for people selling or breeding what they call, "Warlock", "King", "Oversized", or "Rare" Dobermanns. If they were reputable breeders they would not be breeding for these undesired traits, as they are not to our breed Standard ! !